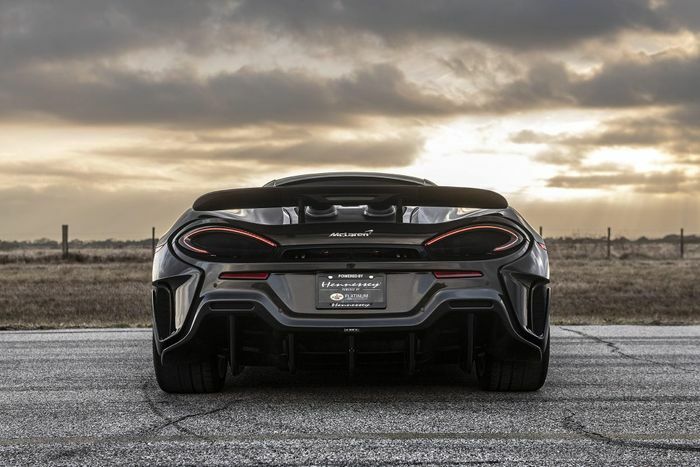 Straight-line performance was never the point of the 600LT. 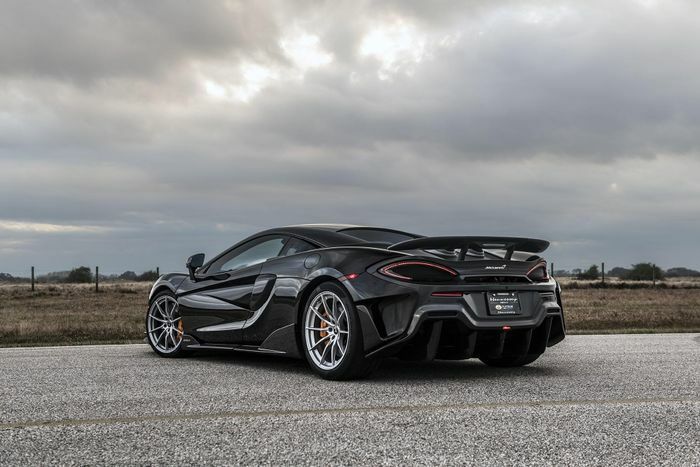 It’s best thought of as McLaren’s GT3 RS: this is a car that’s all about going as quickly around corners as possible, and if you want more go, well, perhaps you ought to look at the YouTube Drag Race King otherwise known as the 720S. 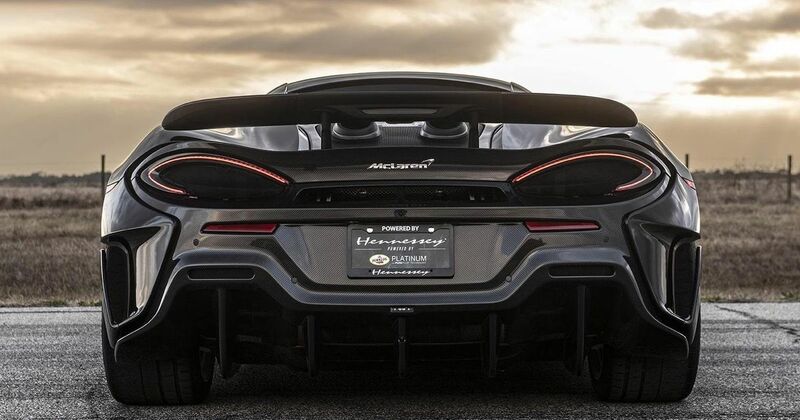 Alternatively, you could give Hennessey a ring, as the Texan tuner now has a having your cake and eating it solution, turning the already rather quick 600LT into an absolute monster. The company has revealed a trio of tuning packages for the car, starting with the HPE700. This relies on the stock engine and turbochargers, using ECU tuning, a stainless steel exhaust, and high-flow air filters to uplift the 592bhp stock figure to 708bhp. The torque gain is even more impressive: with this option, it shoots up from 457lb ft to 635. Go for the HPE800 pack, and that torque figure rises to 722lb ft, while the power jumps to 805bhp. It’s made possible via the same breathing modifications, as well as new intercoolers and unspecified modifications to the factory twin-turbo setup. Or if you’re feeling particularly unhinged, there’s the HPE1000 kit, which will give you 1001bhp and 865lb ft of torque to play with. This includes all of the goodies from the HPE700/800 kits, plus a new set of turbochargers with stainless steel manifolds, a Motec engine management system, and a beefed-up gearbox. 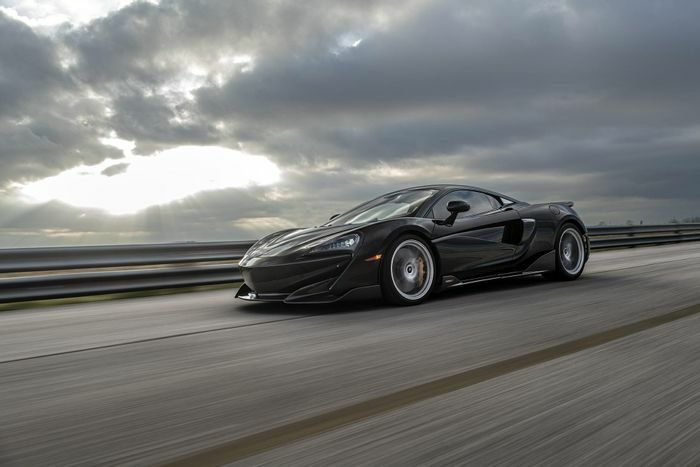 It will cut the 0-60mph time from 2.8 to 2.1 seconds, while also making a 9.6-second quarter-mile time possible. So, which will it be for you?